Yoga is more than just a set of asanas targeted on making your body fit and healthy. Itâ€™s not just a sport or fitness activity, yoga is much more than these. It's a lifestyle, it's a path leading people who practice it to happiness and harmony of mind, body, and soul. 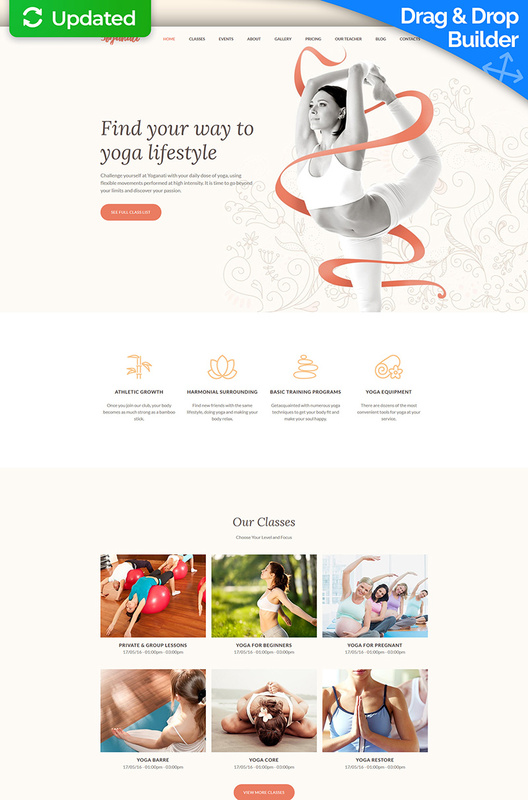 If you are a yoga guru ready to share your knowledge with other people, use this Yoga Classes Moto CMS 3 Template to present your studio online. Its fair, peaceful layout perfectly conveys the idea of balanced life. Yoga classes schedule is presented with the help of visual banners that make site navigation swift and intuitive. Photo gallery, slider, 'Our Teachers' and 'News' blocks will give the users comprehensive information about your philosophy.